Gouverneur offers an array of digital x-ray, ultrasound, mamography and bone density screenings to help physicians assess, evaluate and manage a patient's condition. These tests help doctors ensure a patient's health, establish a diagnosis, provide information on the severity of a condition and monitor therapies and possible side effects. Free or low cost onsite medical imaging and testing of the entire body is provided for patients with referrals from their doctors to diagnose and treat a variety of conditions. X-ray services are on a walk in basis. 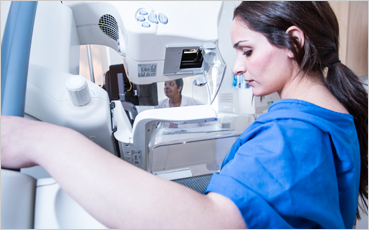 Ultrasounds, mammograms and bone density screenings require an appointment. We use the latest technology for all imaging services to produce high quality digital images that are stored directly in your electronic medical record to help your doctor diagnose and treat your conditions quickly. Gouverneur's on-site medical imaging service is affiliated with the NYU School of Medicine, and radiologists are available for onsite reading and ordering of supplemental tests. We work closely with your primary care physicians and surgeons for continuity of care. Monday - Friday 9 AM to 7 PM for walk-in x-rays. To obtain more information or schedule an ultrasound, mammogram or bone density screening, please call 212-238-7510.